When Pharaoh Brown broke his leg on November 8th against Utah, the first thought that came to mind was: “Is he ever going to play football again?” Seeing someone’s leg bent in half is very surreal. It’s one of discomfort for yourself, while feeling pain for the one suffering. All that fans and Duck hopefuls wanted to see was Brown’s recovery from that gruesome leg injury. So much talent and love for the game, potentially taken away right in front of our eyes – we hope for Brown that that is not the way things would end. It’s still very early to speculate but six days ago, Brown posted this video on his Instargam of him running on an underwater treadmill. Besides pro day on March 14th, the next big event for the Ducks is the Spring Game on May 2nd. We know right now that Brown won’t be making an appearance, but his social media accounts have given us some hope of his eventual return. With the weapons that the Ducks have locked down for next season, adding Brown to that mix would make for some exciting times. 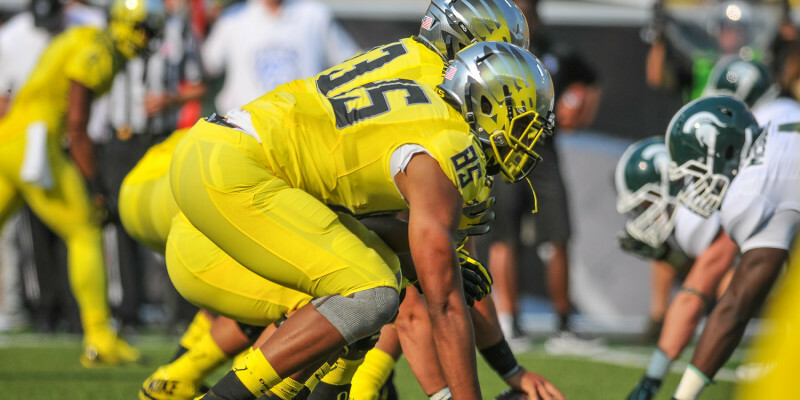 What matters most is that Brown get better and then when he is ready to play, the friendly confines of Autzen Stadium will be waiting. Stay tuned to FishDuck.com for all your Ducks injury news.